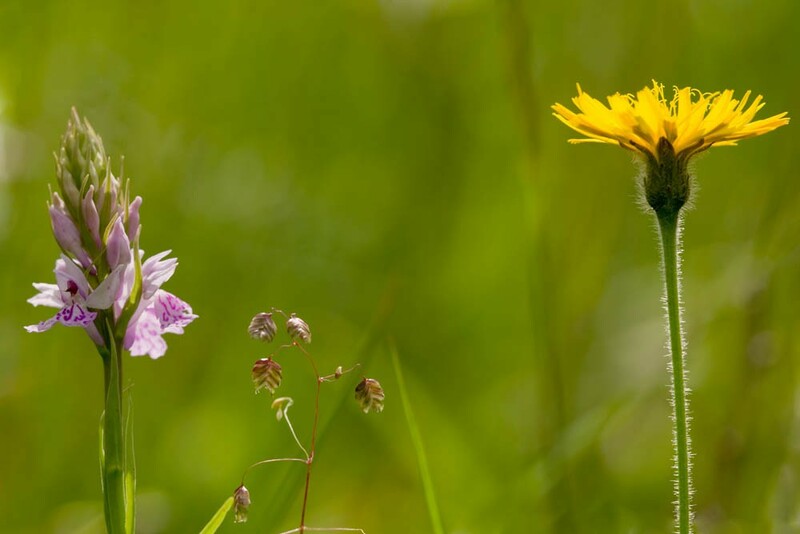 Yellow dandelion-type flowers can be difficult to tell apart, a situation not helped by three of the genera having common names that start with hawk, namely, hawkweeds, hawksbeards and hawkbits. Except for some very rare species hawkbits, dandelions and catsears can be distinguished from the rest by the absence of leaves along the flowering stem. Dandelions contain a milky juice, catsears have chaffy scales among their florets and hawkbits have neither. 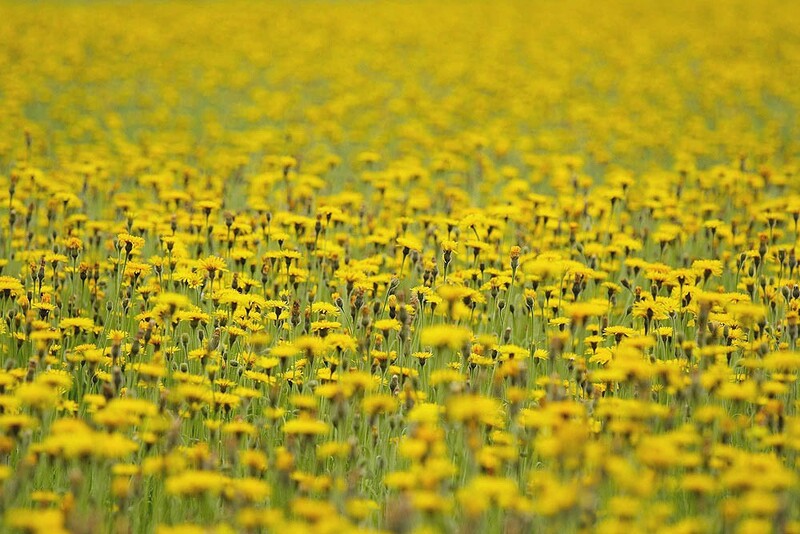 Rough hawkbit is a short, grassland perennial with a very hairy stem that swells slightly at the top. The solitary flowers, which are in bloom from late May to October, are a rich golden yellow with the outer florets often reddish or orange and the bracts behind the flower appearing very shaggy. The leaves which make up the basal rosette are long and bluntly lobed. 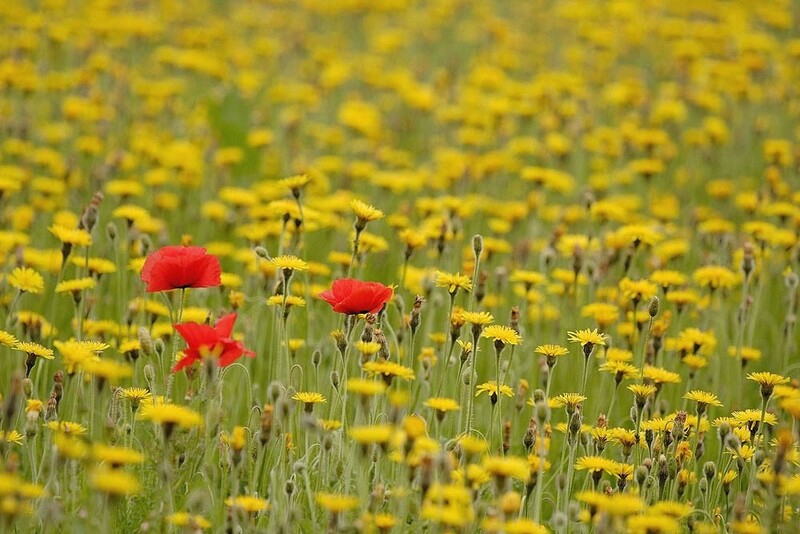 Rough hawkbit is a slow-growing, rosette-forming perennial of dry, neutral or calcareous soils. 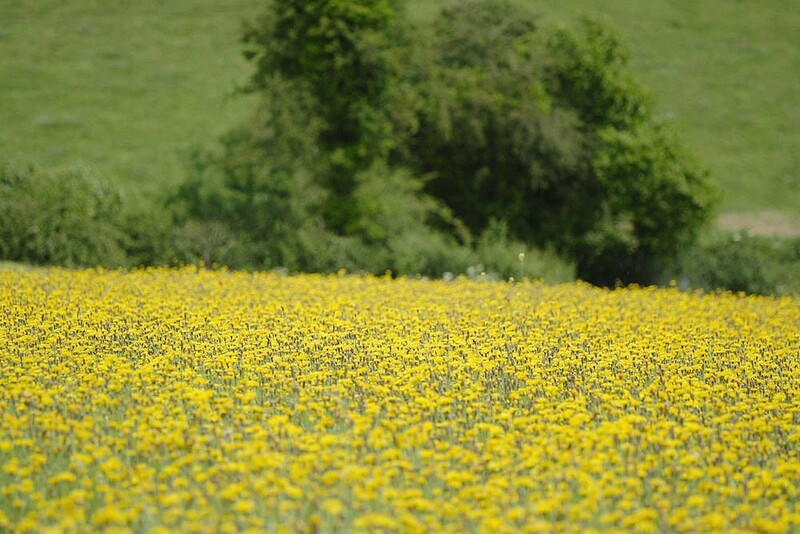 Its ability to regenerate after close cutting or grazing from buds present on the stock allows it to persist within pastures but it can also be found in hay meadows, rock ledges, quarries and road verges. It is suppressed by larger species in rank vegetation so tends to disappear from neglected grasslands or nutrient rich sites. Rough hawbit's deep tap root sustains it through summer when maximum shoot growth occurs. 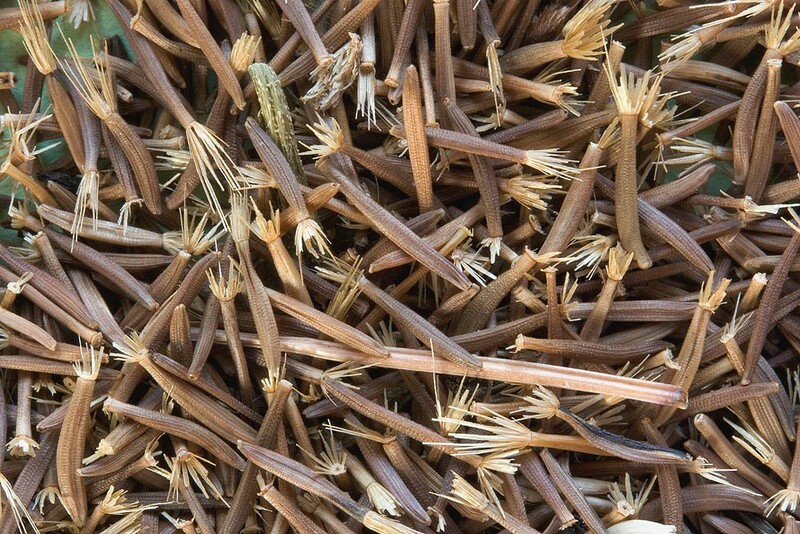 In established pastures the plant slowly spreads by means of adventitious roots but in more open ground regeneration is mainly by means of its wind dispersed seed.